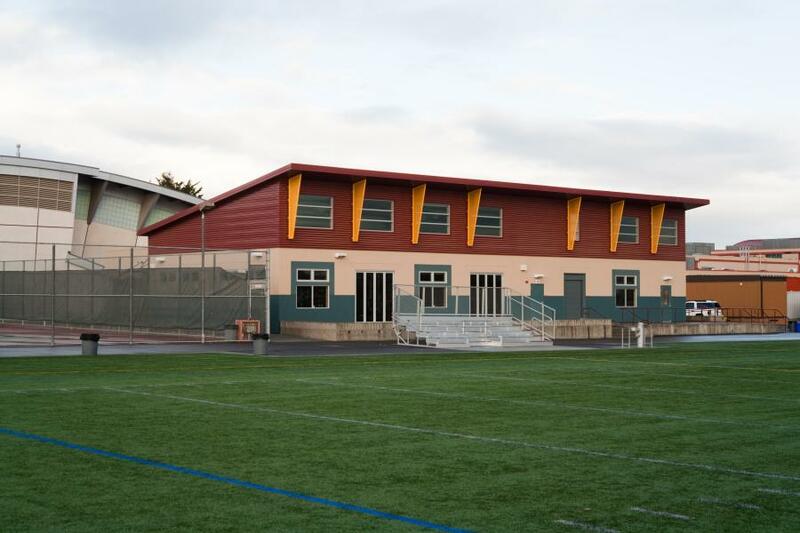 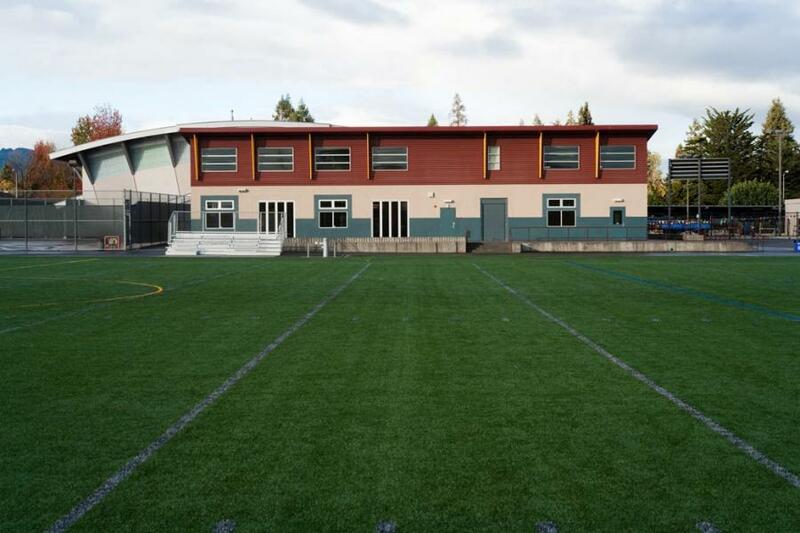 Cupertino High School’s New Athletics Building is located just off the track & field adjacent to the existing gymnasium. 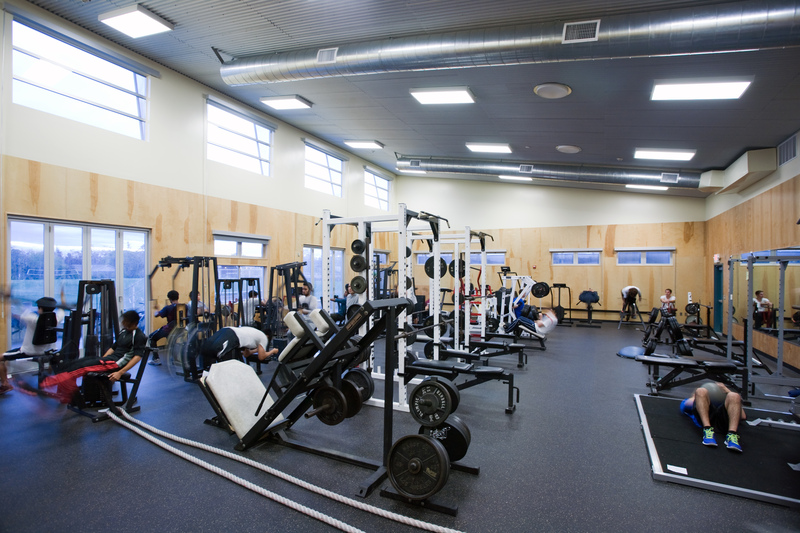 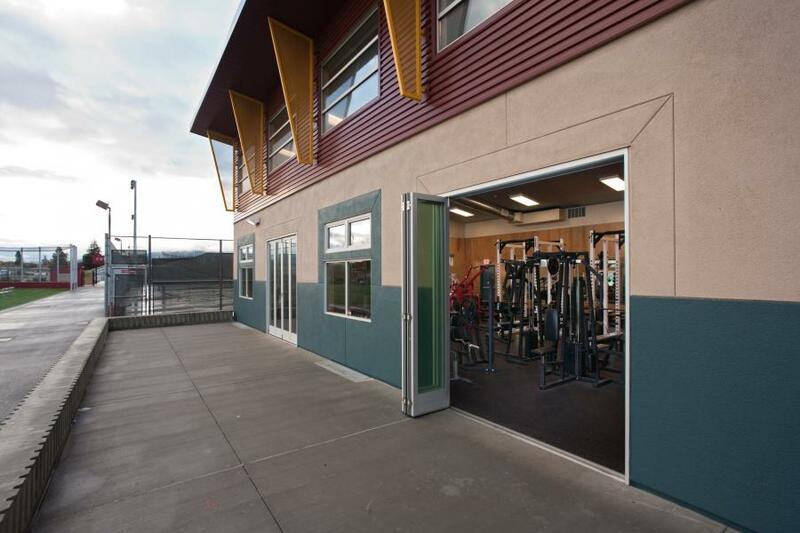 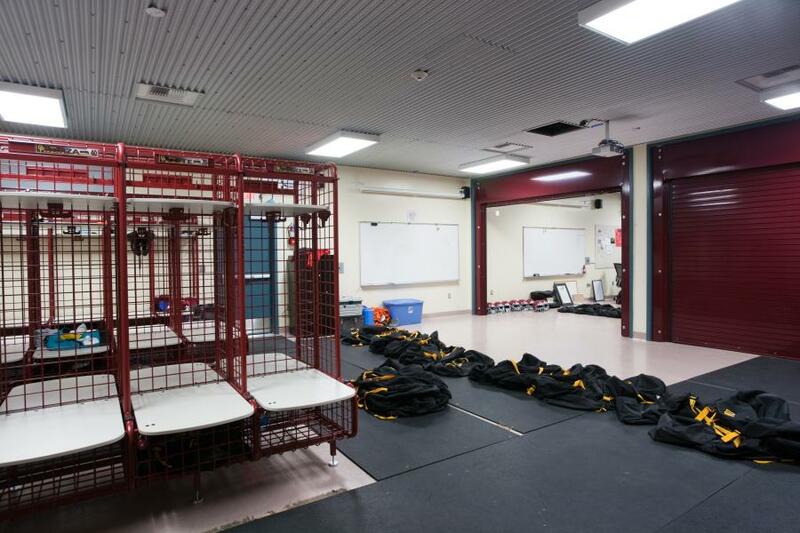 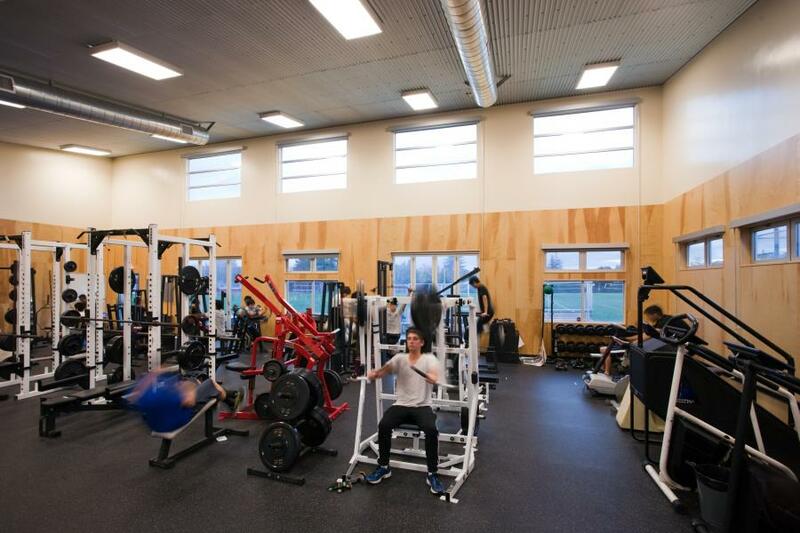 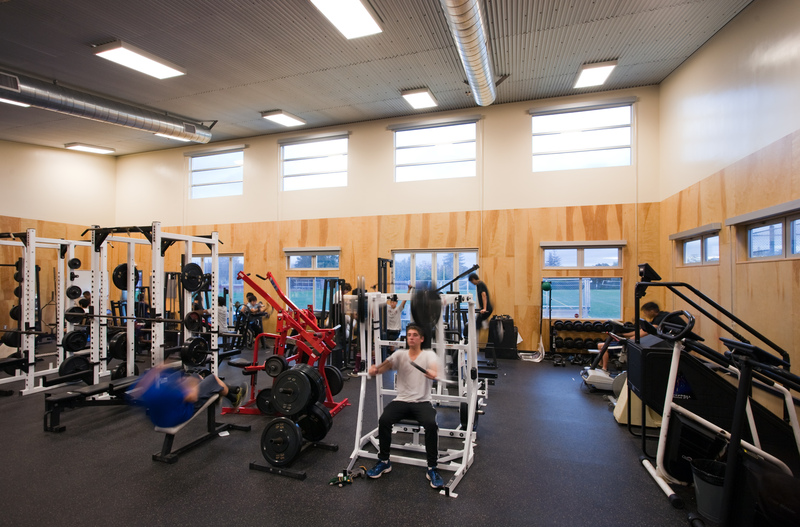 The modular building includes a shared locker room, weight room, coach’s office and physical education classroom. 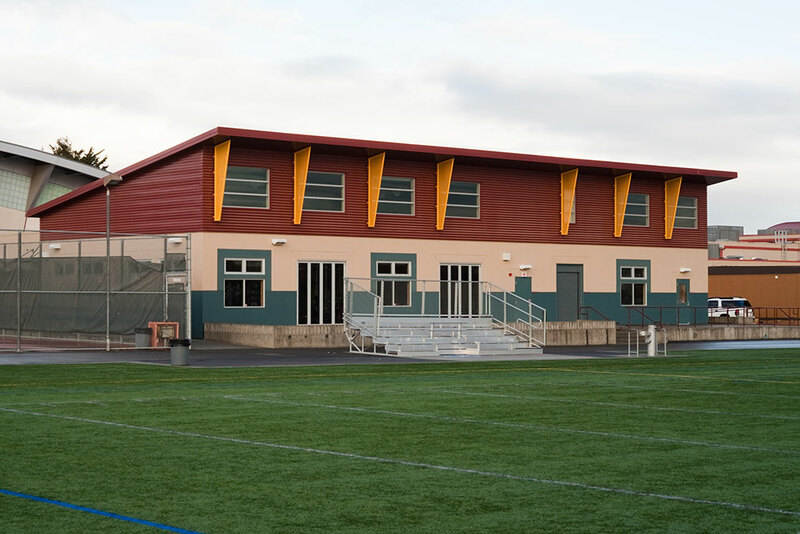 The design integrates the use of natural light with lots of windows, Nanawall folding glass doors and Solatube skylighting. 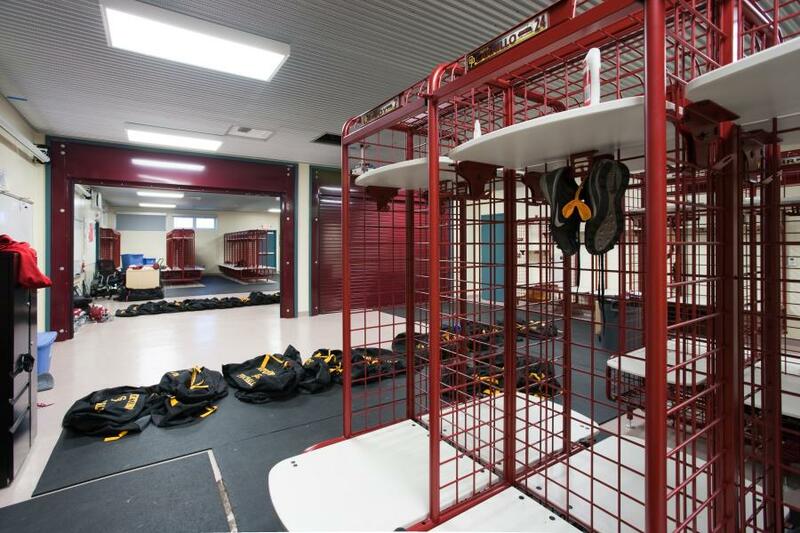 The shared locker rooms include rolling doors for flexibility to help facilitate individual/small group activities and large group gatherings. The integration of Nanawalls allows for ease of access for equipment, while also creating a connection to the track and field.